A vertical shoot-em-up. 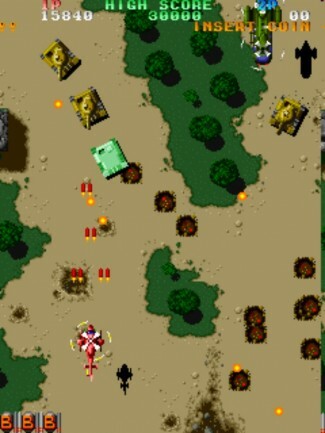 Players fly helicopters firing at air and ground targets. Collect power-ups green, blue, yellow, or red for better fire power. Fight a ‘boss’ enemy at the end of each stage.